Answers to these questions coming soon!! i don't really have anything wrong with me. 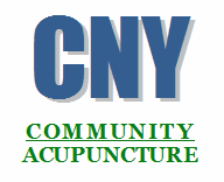 why should I have acupuncture? what's the deal with the needles? is it painful? what will I feel during a treatment? how fast will I start to feel relief? I have back pain and you're putting me in a recliner, how in the world are your going to work on my back?